Fresh install of Trusty daily. 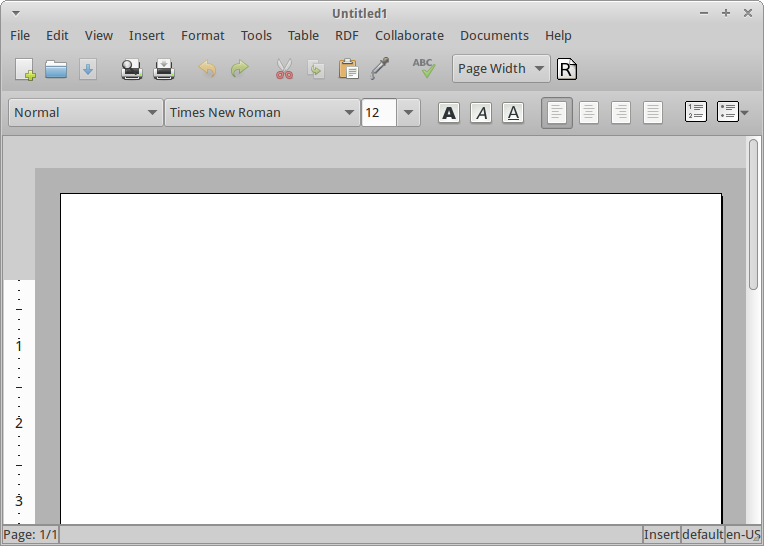 WORKAROUND: Resizing Abiword window or clicking Help->About will restore ruler but it's gone again on next launch. Jack Fromm, thank you for taking the time to report this bug and helping to make Ubuntu better. Given the issue is documented reproducible, this bug you are reporting would want to be reported upstream. It would be nice if somebody having it could send the bug to the developers of the software by following the instructions verbatim at http://www.abisource.com/support/bugs/ . If you have done so, please tell us the number of the upstream bug (or the link), so we can add a bugwatch that will inform us about the status. Thanks in advance. The attachment "r33871_fix-redraw-region-in-custom-widget.patch" seems to be a patch. If it isn't, please remove the "patch" flag from the attachment, remove the "patch" tag, and if you are a member of the ~ubuntu-reviewers, unsubscribe the team. * New patch to fix icon path in about dialog (LP: #1299582).